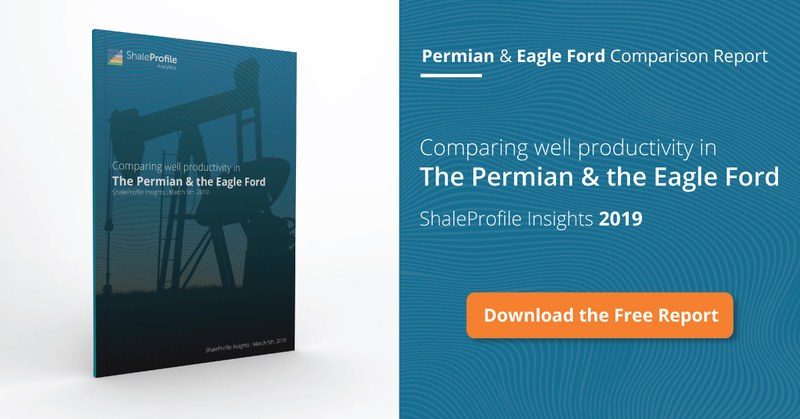 This interactive presentation contains the latest oil & gas production data from 77,054 horizontal wells in 10 US states, through June. Cumulative oil and gas production from these wells reached 7.1 Gbo and 75.3 Tcf. Once revision data for the last couple of months is in, I expect to see that oil production from these wells has crossed the 4 million barrels per day level again. As you can see from the colored regions, the contribution from the ~10k wells that started production since early last year constituted about half of this result. The output of the 65+ thousand horizontal wells that started before 2016 fell to just under 2 million bo/d in June, which means that the average production rate of these wells is now 30 bo/d. That however also includes a significant number of wells from the major gas basins (Appalachia & Haynesville). If you switch “product” to gas, you’ll notice that excluding West Virginia (which only has data through end of 2016), gas production from the wells shown here rose to over 40 Bcf/day, for the first time. This is more than half of the total gas production in the US (~73 Bcf/day in June, according to the EIA). In the “Well quality” tab the average production curves for all the horizontal wells in the shale oil basins are shown, by the year in which production started. The performance of wells that started this year is so far quite similar to that of the wells a year earlier. Clearly leading in operated oil production volume, EOG is responsible for 10% of the total oil production (~400 kbo/d), as shown in the “Top operators” overview. This “Ultimate recovery” overview shows the clear relationship between cumulative production, and production rates, over time. The rather straight curves on this semi-log plot indicate an average hyperbolic decline with a b-factor of close to 1 (= harmonic decline). This allows anybody to make a reasonable estimate of the ultimate recovery of these wells, at a certain economic limit. On the Get the Data the latest production data is again available. The new US data packages now also contain text files, so that they can be easily imported in any database of your preference. Early next week I will have a post with the August production from North Dakota. Production data is subject to, typically upward, revisions, especially for the last few months in Texas. For these presentations, I used data gathered from the sources listed below. Louisiana Department of Natural Resources. Similar like in Texas, lease production is allocated over individual wells in order to estimate the well production history. Texas Railroad Commission. Individual well production is estimated through the allocation of lease production data over the wells in a lease. Actual production data from individual well tests, in combination with several other data sources, is used to improve the accuracy of this allocation algorithm.